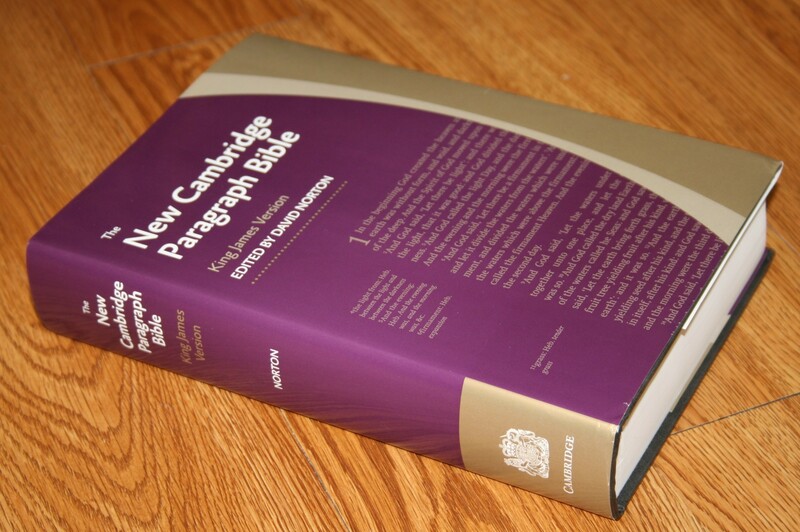 The new Cambridge Paragraph Bible is now available in personal size. 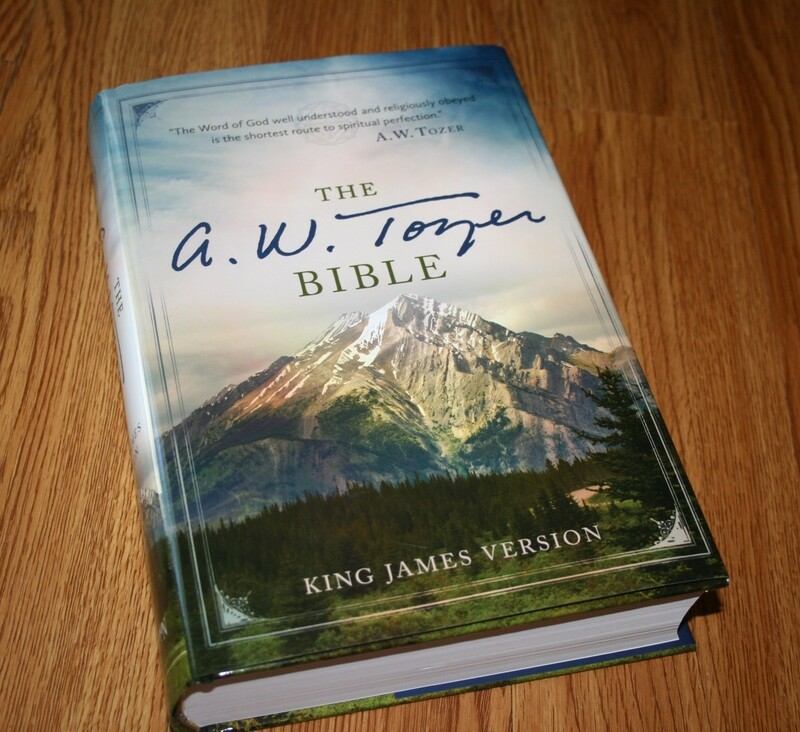 This is an important Bible for KJV readers as it presents the KJV text as intended by the translators. This reconstruction of the 1611 format is the scholarly work of Professor David Norton. It is in paragraph style and includes the translator’s notes in the margins. Poetry is set in verse style. It is available in either hardcover or leather, and with or without the Apocrypha. The edition I am reviewing is the gray hardcover with Apocrypha. The hard-cover editions do not have ribbons. 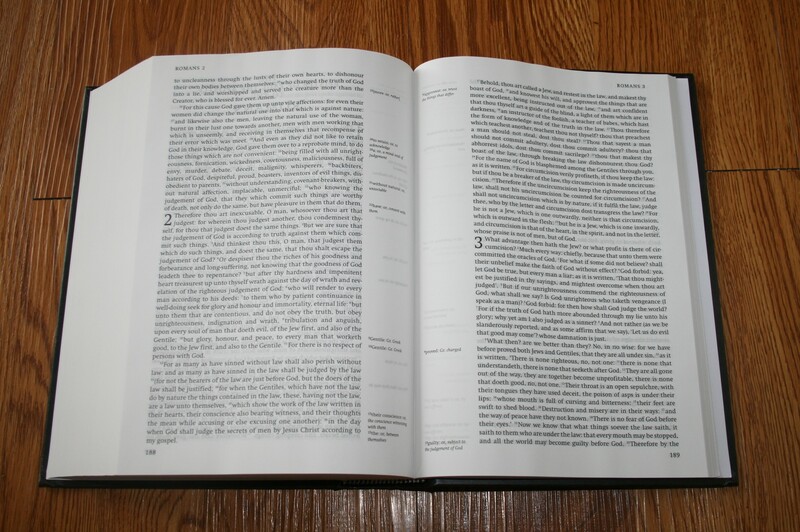 This Bible is a revision of the larger format Paragraph Bible that came out in 2005. Even though this is considered a personal size Bible, it is still not a small Bible. It is about the size of the Concord, only thicker. It’s still a good size for carrying and reading. The text is an 8.7 Swift font. It is easy to read and doesn’t feel too small. There is more than average space between the lines of text, so there’s plenty of white space to help the readability. Some lines line up with the lines on the back of the page. These lines are easier to read. The other lines fall between the lines on the back of the page. These lines are more difficult to read. The paper and print are comparable to the Clarion (the Clarion text looks slightly larger and the Paragraph Bible has more space between the lines), and it has about the same amount of ghosting, which is more than average for a Cambridge Bible but still better than most Bibles today. There are no pronunciation marks or italics. There are footnote indicators that show which portions of the verse the footnotes link to (a feature I would like to see added to the Concord). There have been some changes made to the KJV text over the years (some accidental and some intentional). This edition seeks to fix those issues and make the text as faithful as possible to the translators view of how it should read. The Paragraph Bible is, surprise, in paragraph format. I’ve always found paragraph format difficult to find verses. This one makes verses even more difficult to find because the verse numbers are very small and faint. This does make the text easier to read because the transition from verse to verse is seamless. It reads like a book- one paragraph at a time. Poetry is set in verse format (as it should be). I really like the way the format looks. 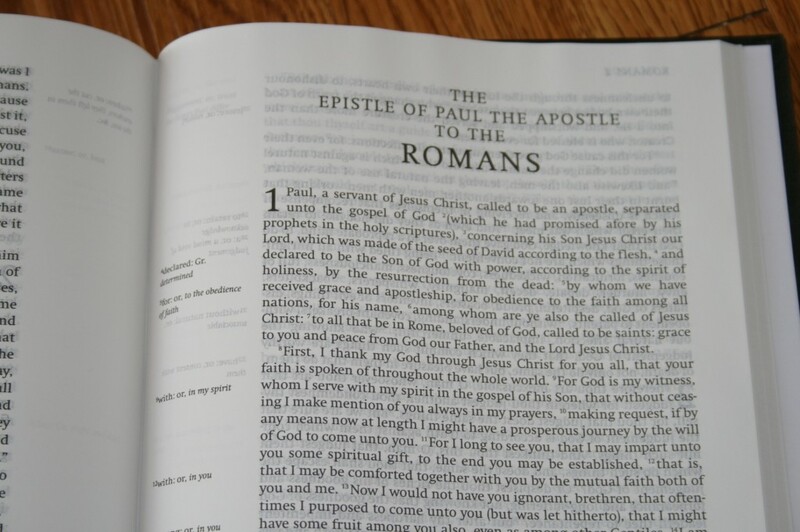 NKJV, ESV, NIV, and others have used this style of formatting as a standard, but the KJV usually only has verse format (which is not the original format for the KJV). The original paragraph formatting makes a big difference in the readability of the KJV. It is difficult to find a KJV Bible that reads this well. To further help its readability, modern spelling and punctuation are used (which are actually closer to the original than the 1769 edition). The notes include the original notes written by the translators, and notes that have been added through later editions. The notes that are not original are placed in brackets to make them easy to identify. Included is the Editor’s Introduction, which explains in greater detail the purpose and features of this Bible. Also included is the Epistle Dedicatory- the dedication to King James. Next is the Translators to the Reader. This document includes footnotes. Also included is an index showing page numbers for the books with the number of chapters for each book. 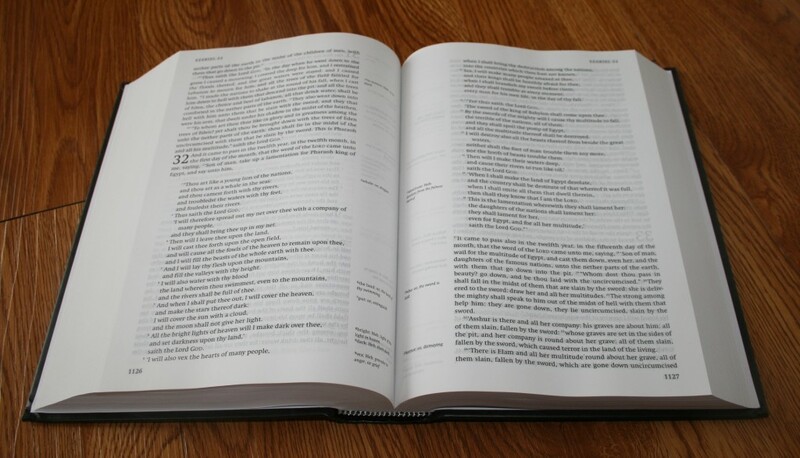 This Bible does not have extras such as a concordance, maps, indexes, references, etc. I like these tools, but I don’t have to have them in every edition of the Bible I use. If this was my one and only Bible I would want these features, but the Paragraph Bible is still a fine Bible without them. 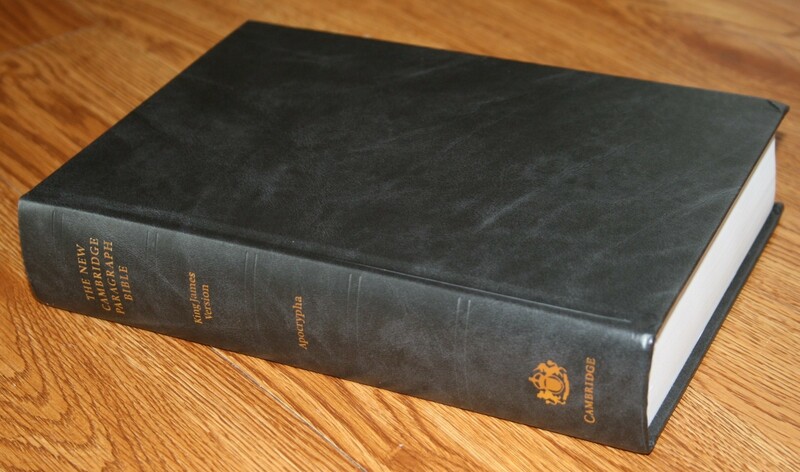 This is a no nonsense Bible that is not filled with extra features, but instead is an edition of the KJV that seeks to present the KJV in the form the translators intended. Its paragraph format is very readable and its size is very usable. 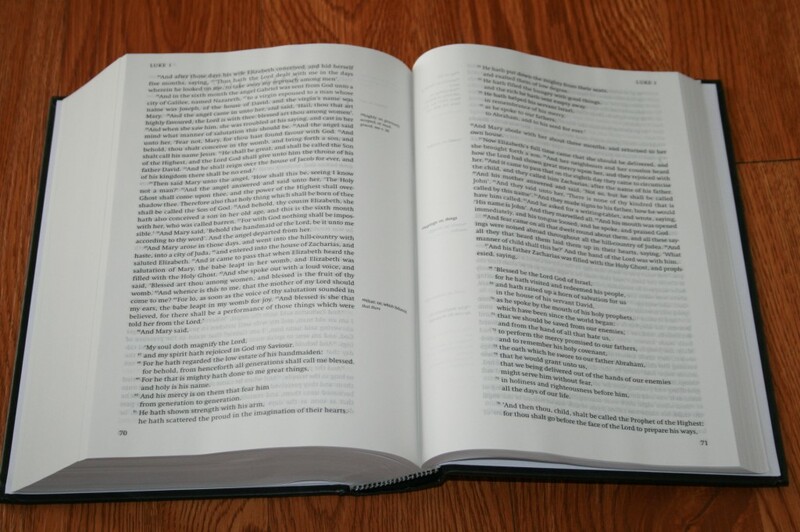 The personal size New Cambridge Paragraph Bible would be a fine addition to your library. Baker Publishing provided this Bible free for review. I was not required to give a positive review- only an honest review.